The World Bank’s Vice President for South Asia, Isabel Guerrero, was recently in Canberra for discussions with AusAID. I took the opportunity to ask her about her views on Afghanistan and Pakistan. 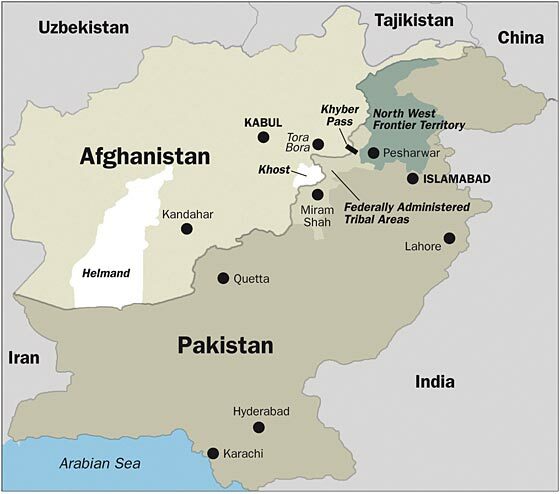 What is the World Bank’s perspective on Pakistan? Last year we had the largest lending program ever of over a billion dollars to Pakistan. Quite a bit was for the floods. We put together a cash transfer program so that other donors could actually feel safe to bring their resources because we had built a safety net and income support program that actually is among one of the best in the region. And then we have been working on tax reform. It has been quite frustrating at times, but it is starting to show some results. The power sector is still bleeding, the tariffs have been increased, but the governance is such that even if you have increases in tariffs you still have a lot of debt; circular debt. In terms of our program we’re focusing a lot on the provinces and on projects that are result based, so that you are dispersing against outcomes. I think education is one of the main long-term development contributions that the donor community can make. So we are focusing on that. And I think right now because we have such a big lending program we’re going to really focus on implementation. Capacity is very low, and what worries us now is that, given all the huge commitments we’ve made, whether we are we going to be able to implement, because we’ve had delays on pretty basic things. So the focus for us right now is the provinces, education, to be results-based as much as possible, and implementation. Do you really think that a place like Pakistan, where there are deep political fault lines, donors can make a difference? I don’t think donors can ever make a difference when the country is not implementing the right policies. I think what is happening in Pakistan is that the political economy is really what is determining what other policies can be made. So you have the Minister of Finance who presented to the parliament the budget, which included some taxes, and he was booed and he could hardly present. In that context it is very difficult to think of reforms given the political economy. So that is the binding constraint, and I think people are basically looking for this to be the first ever elected government that is going to finish its term and that seems to be the aspiration. I don’t think that reforms are on the cards at all. That’s where the challenge for us is. The IMF program is now off-track; I don’t think it’s coming on track anytime soon. So definitely for us budget support is out of the question. But then, beyond that, how can you have productive investments in a context where the political economy is such that it doesn’t allow for the reforms that are needed? In the power sector, which is the main constraint of growth, there are not enough revenues for the expenditures that are needed. It’s a difficult situation. We are working a lot on the conflict areas. We have a million dollar trust fund. We are trying to make it similar to the one in Afghanistan, which has been very successful. Basically we have several programs running at the same time and we’re going to be adjusting as we go. The main thing in Pakistan is to be able to adjust. So Afghanistan is a more positive story than Pakistan? I think so. In Afghanistan, as you know, 45% of GDP is foreign aid, and of that two-thirds goes outside the government. So you have a very weak government which is being undermined by the fact that most bilateral donors go outside the government; through NGOs. So what we have focused on now for years – this is not something that happens overnight – is building the programs that can be scaled up to a national level, and building the systems that can actually then be used by the donors without them worrying that the money is not going to get where it’s supposed to. So starting from scratch, we have been building financial systems for the Ministry of Finance so that we know where the money is going. And now it’s actually working very well. Then there is the National Solidarity Program where you’re really building ownership for the communities to determine where they want the money to go. And then they defend with their life the money if it’s threatened. The schools that are built in the National Solidarity Program are actually not attacked by the Taliban. The same thing with the health programs, there is a whole menu of health services, which is very impressive in terms of how it has multiplied its reach. So when you have good ministers in Afghanistan you can actually build very good national programs, little by little, with a lot of patience, which I think can have a sustainable impact, if with the military transition of 2014 the donors have the foresight of actually staying engaged for the long-term development. Because once you pull out, then the multiplier is huge because the military demand services, they demand transport, they demand food and all that is going to have a massive impact on the economy. Going back to the point of financial management, the reputation of the government is that it is very corrupt. Are you saying that that is actually unfair? Corruption happens, but outside the government system that we have been working on with the Ministry of Finance. So, you would have corruption in the private sector, you would have corruption in the form of bribes. But when it comes to paying wages to teachers or to health workers that is a much easier system to set up and to actually track whether those flows are actually getting to their people. So actually donors worried about corruption should use the government system? They should invest in the government system and in transparency to make sure that the people who are supposed to get the money know that they are supposed to get it. Of course there is always going to be corruption in those situations which are very insecure and there is no reach. So the only way is to have very clear information about what is supposed to go where and have the communities enforce that. Stephen Howes is Director of the Development Policy Centre at the Crawford School of Economics and Government, ANU. Isabel Guerrero is the World Bank’s Vice President for South Asia.